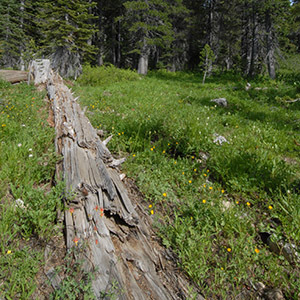 Chemical treatments for Phytophthora ramorum, the causal agent of SOD. 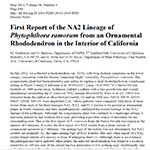 Treatment of susceptible oak and tanoak trees with systemic phosphonate compounds has been found to reduce the size of SOD canker infections. 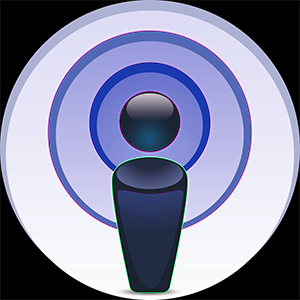 There are two methods to consider. 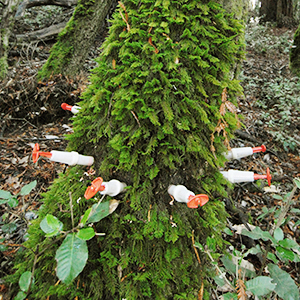 The injection method uses spring loaded syringes to deliver small doses of the diluted compound under the bark of the tree. 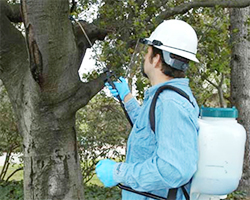 The topical application method when uses a portable spray apparatus to apply the compound to the trunk of the tree. 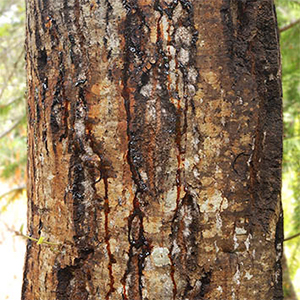 The diluted compound is combined with a silicone based surfactant that helps it stick to the tree, break surface tension, and soak across the bark into the vascular tissues. 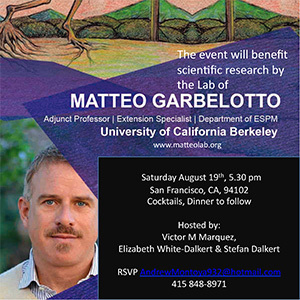 See the PowerPoint presentation below for more details. 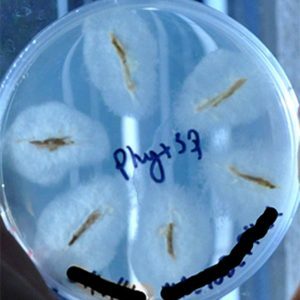 Both methods have been found to be effective at slowing the growth of P. ramorum infections in the tree when compared to untreated control trees. 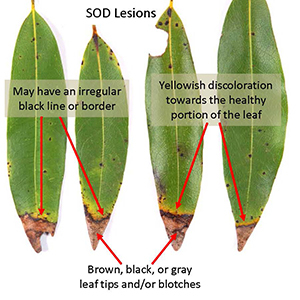 The treatments have been found to be more effective when they are applied preventatively, before the tree is infected, rather then as a curative. There are advantages and disadvantages to each treatment described in the slide presentation below. One significant issue is the damage that injections cause to the wood surrounding the injection site. 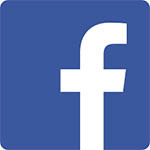 We are currently reevaluating the injection protocol to minimize any phytotoxic effects yet remain effective. If injecting the product, we recommend alternating with bark applications every other year, to minimize wounding. 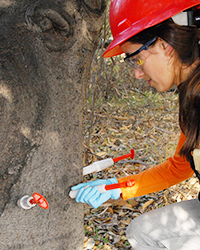 Concentrations of phosphonates indicated on the current label dosages have been shown to cause significant wood damage when injected into the tree and should no longer be used. Reducing the concentration of the injected material avoids damaging the tree but still remains effective for SOD canker control. See the PowerPoint below for new phosphonate damage and efficacy data as well as the revised injection dilution ratio recommendations. 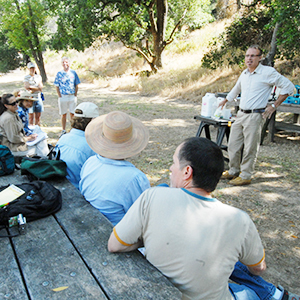 SOD Treatment Training Workshops are held twice a year on the UC Campus. 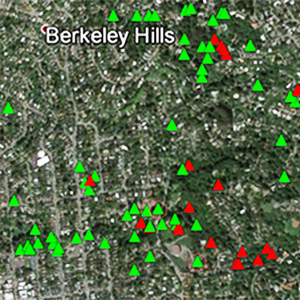 Arborist News Article: Phosphite Treatments to Control Sudden Oak Death in California Oaks and Tanoaks. 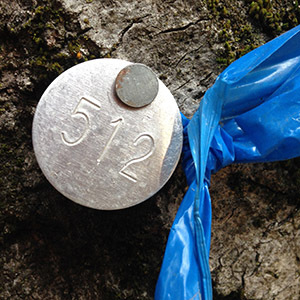 Pentrabark™ Control Sudden Oak Death in Coast Live Oak.